How do people make contact with asbestos? 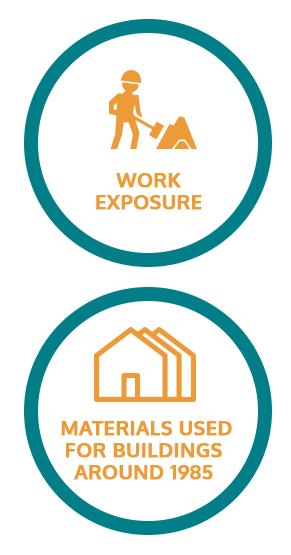 Work exposure: asbestos has been used in order create a lot of industrial products like floors, cement, and even textiles. Environmental exposure: People can be exposed to naturally occurring asbestos as it can be found in certain rocks. Therefore, the incidence of the disease is higher in the areas where mining is occurring. Indirect exposure: if a member of the family works with asbestos, the others are indirectly exposed to it through the asbestos dust, which remains on the clothes and hair of the worker. Asbestos in constructions: a lot of materials used for buildings around 1985 may contain asbestos. Erionite: erionite is a mineral, which is known to be a mesothelioma cause and has similar properties to asbestos.